Traditional and elegant. The traditional jacket by Orbis Traditional in the colour anthracite has a classic basic shape but is equipped with refined sports details. Dividing seams at the front and also in the back waist up the traditional jacket and guarantee a perfect fit. The colour combination anthracite grey is harmonious, the material mix of hunter lines combined with loden sporty and unusual at the same time. 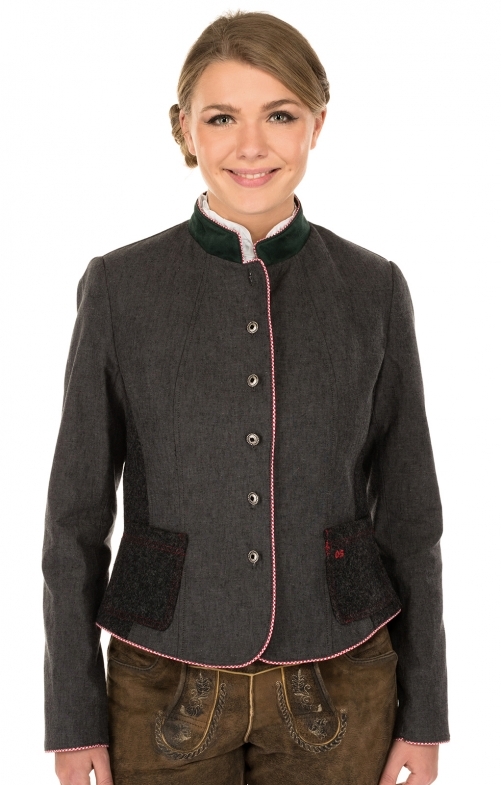 The green raised collar is traditional costume element and the red decorative edging loosens up the overall picture. Excitingly beautiful and perfectly combinable with all possible parts.